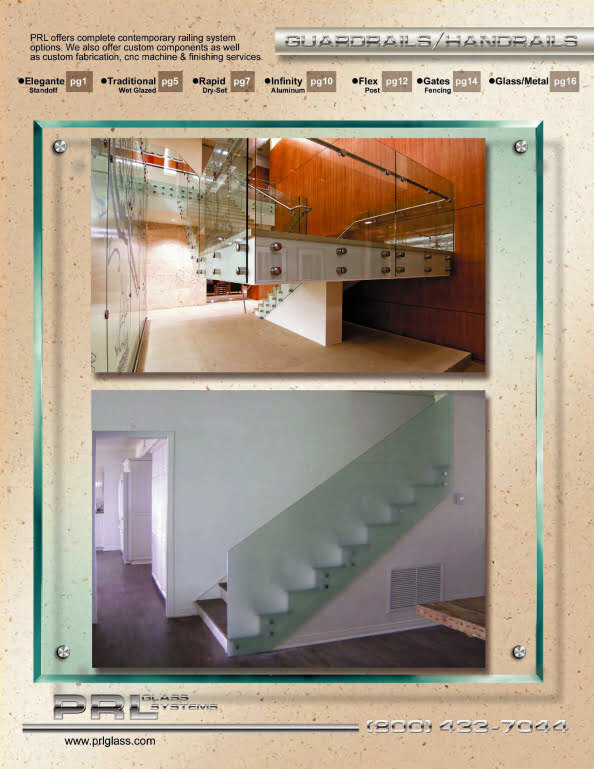 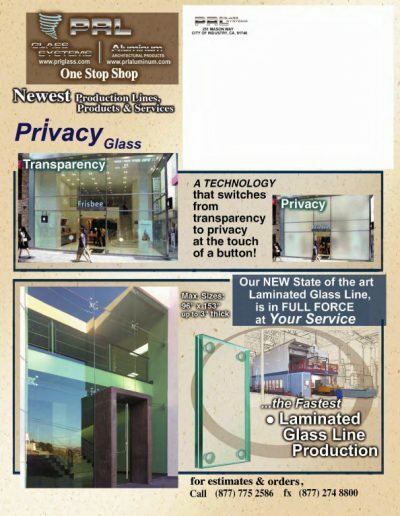 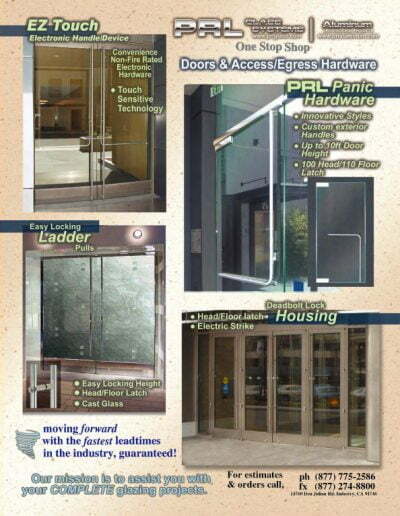 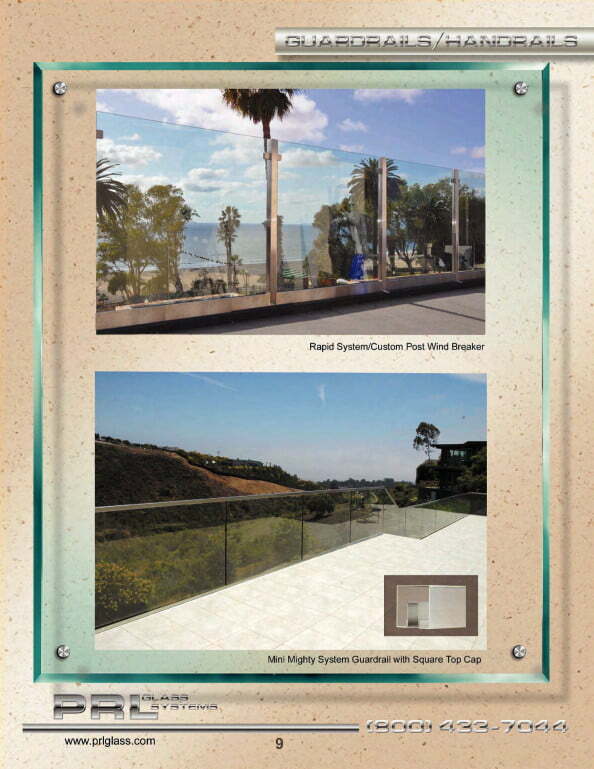 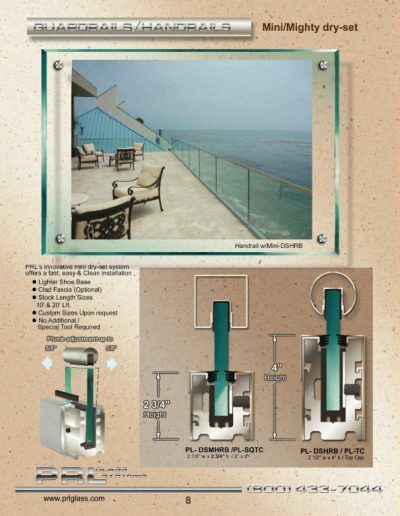 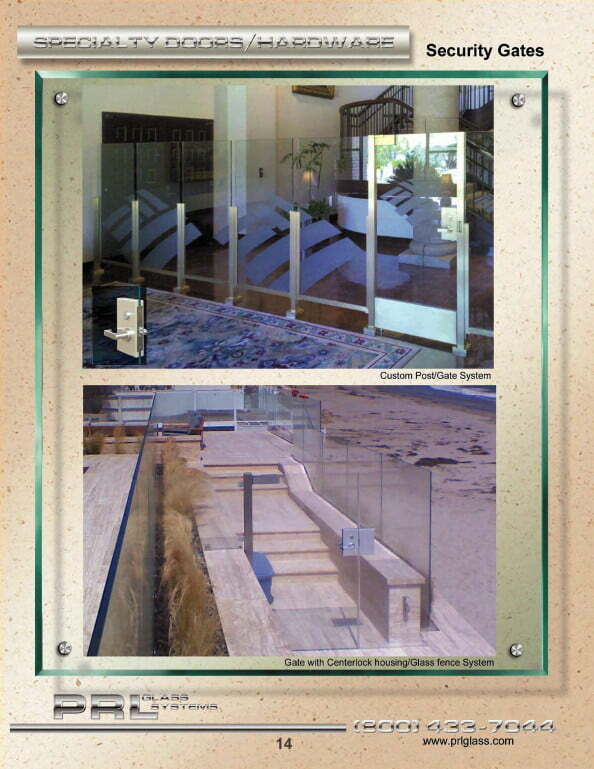 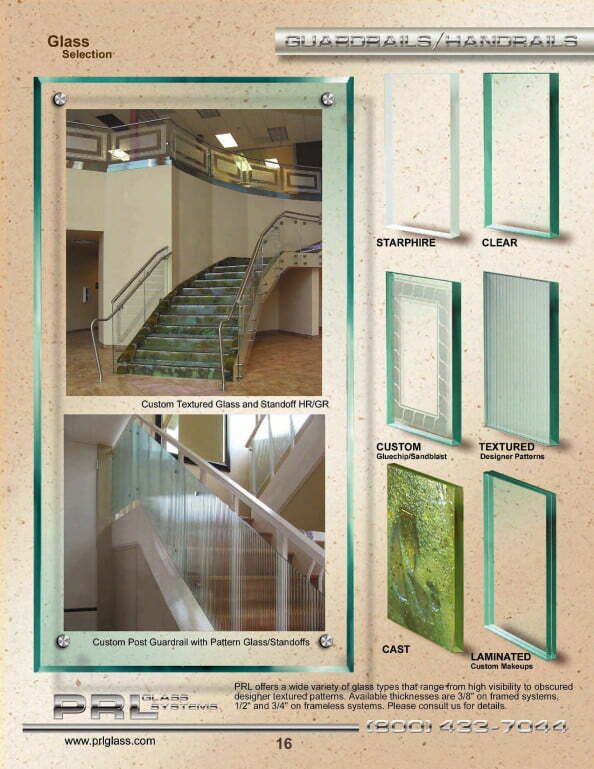 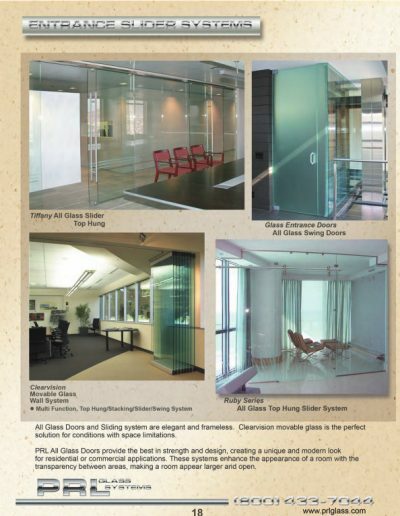 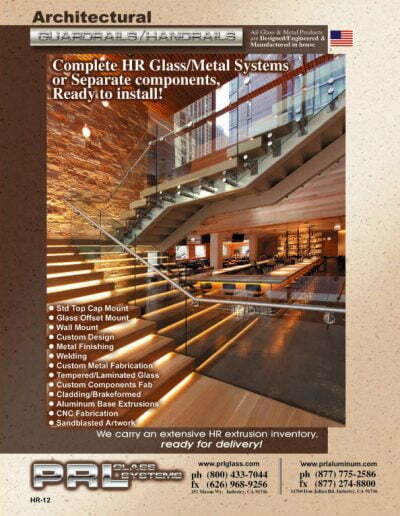 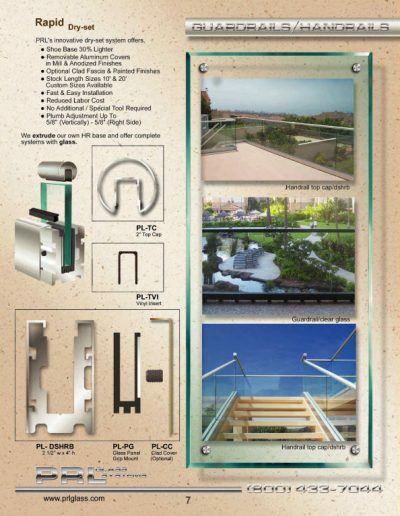 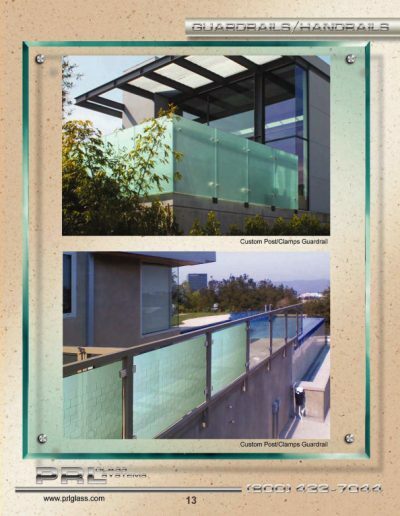 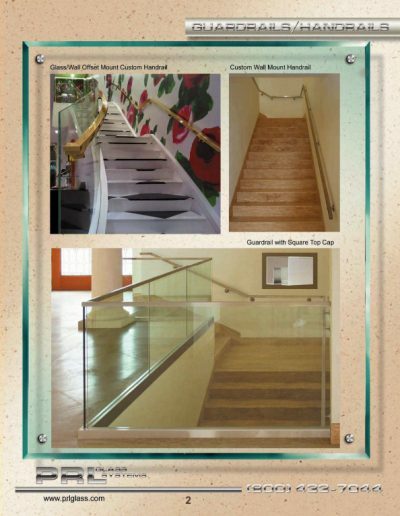 As a Glass and Metal Manufacturer, PRL is your perfect source for Complete Glass Handrails. 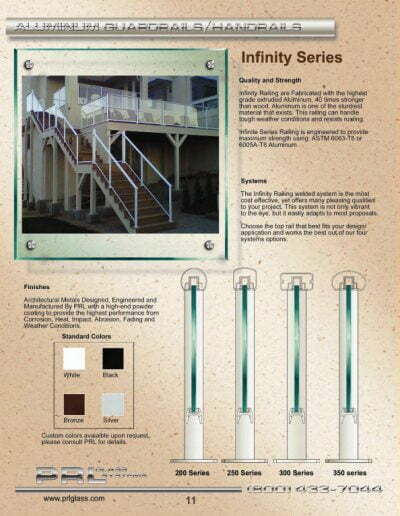 We extrude our own base shoe profiles for both wet glazed (cemented) and dry glazed (mechanically fastened) handrail systems. 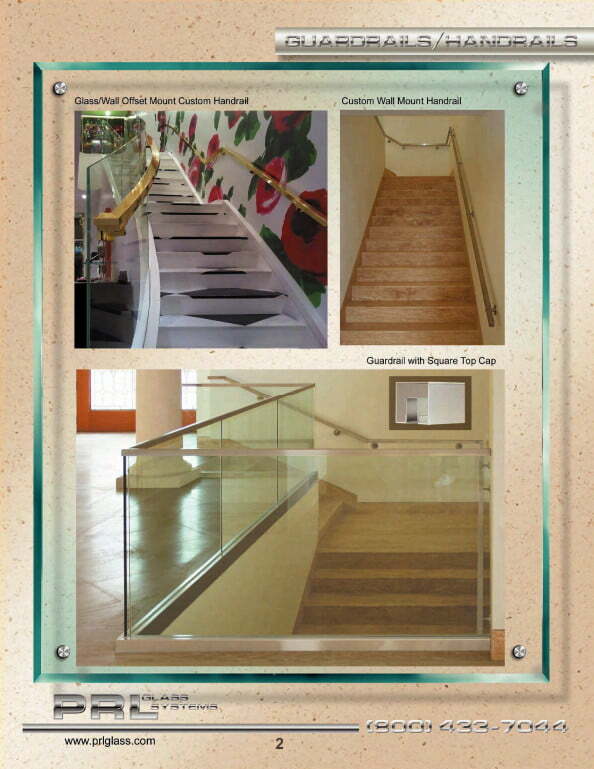 We extrude and brake form our own top cap profiles and we fabricate, temper and laminate the glass panels for our glass handrails and guard railing systems. 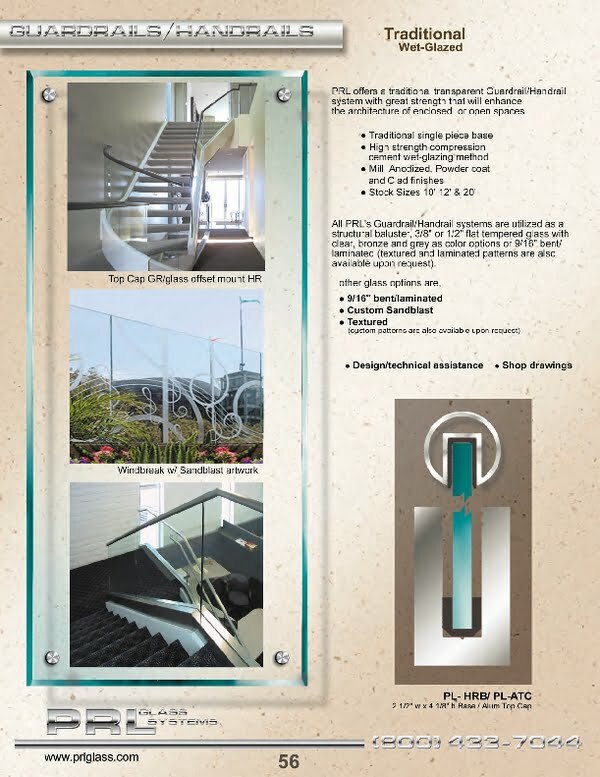 This single source convenience for a complete glass guardrail and handrail systems makes design, procurement and installation easy, fast and cost effective. For 1/2″ tempered glass we offer our 2-1/2 x 4-1/8 heavy aluminum wet-set base shoe, pre-drilled and designed for installation with Rockite or Kwik-set fast setting cement. 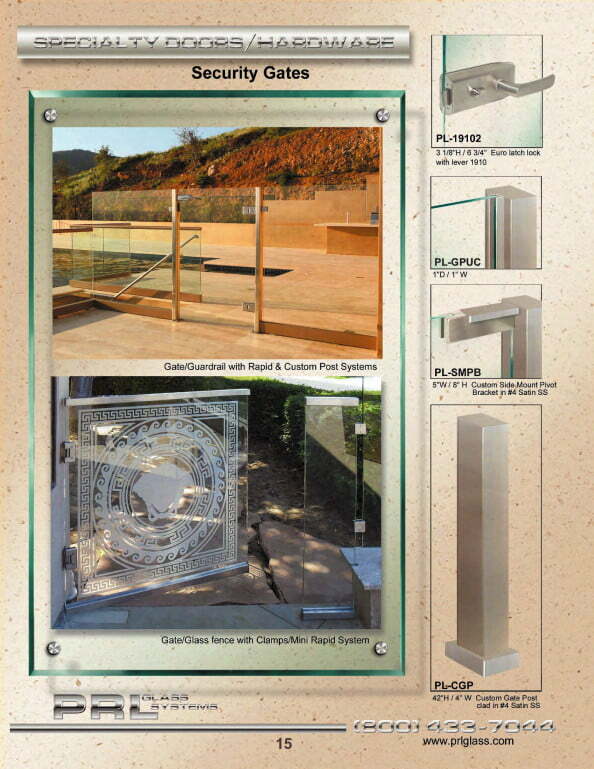 The base is available in stock lengths or cut to size. 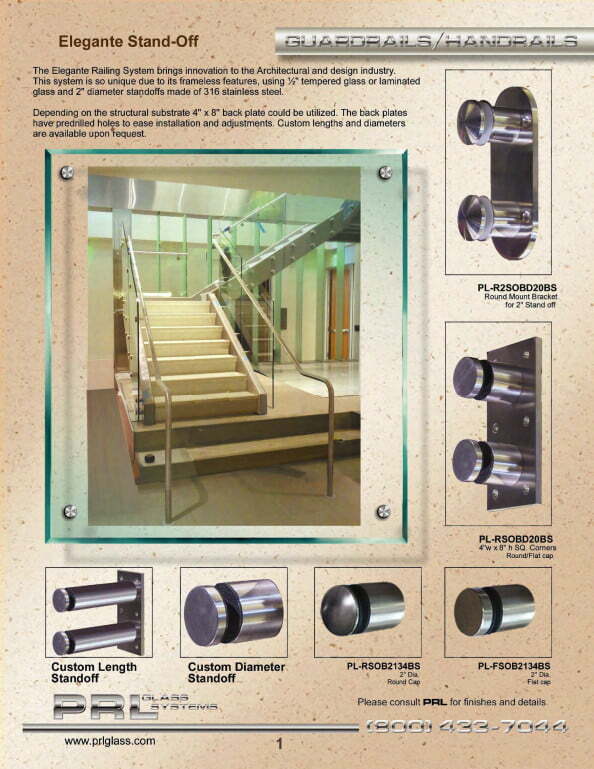 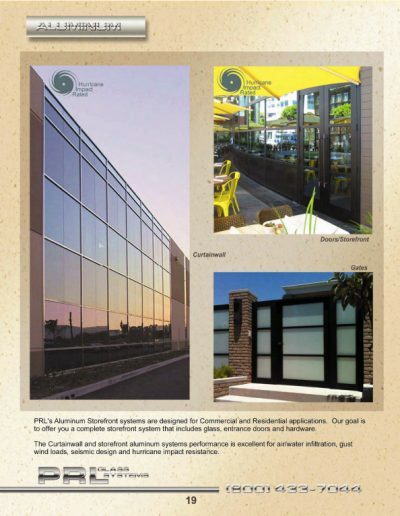 We offer mill finished aluminum, stainless steel clad, brass clad, and clad with anodized or painted aluminum. All cladding is sheared and brake-formed in-house. 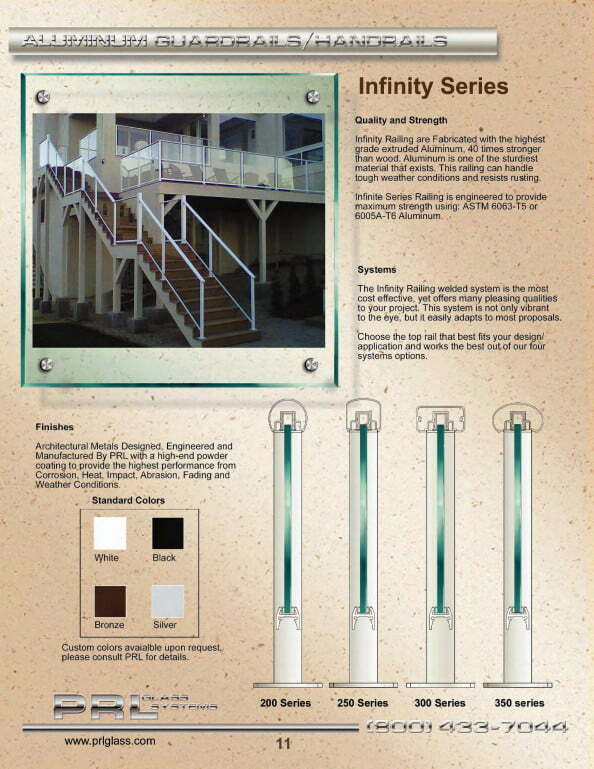 Our 2-1/2 x 4-1/8 dry-set base shoe, also pre-drilled is a proven labor saver. 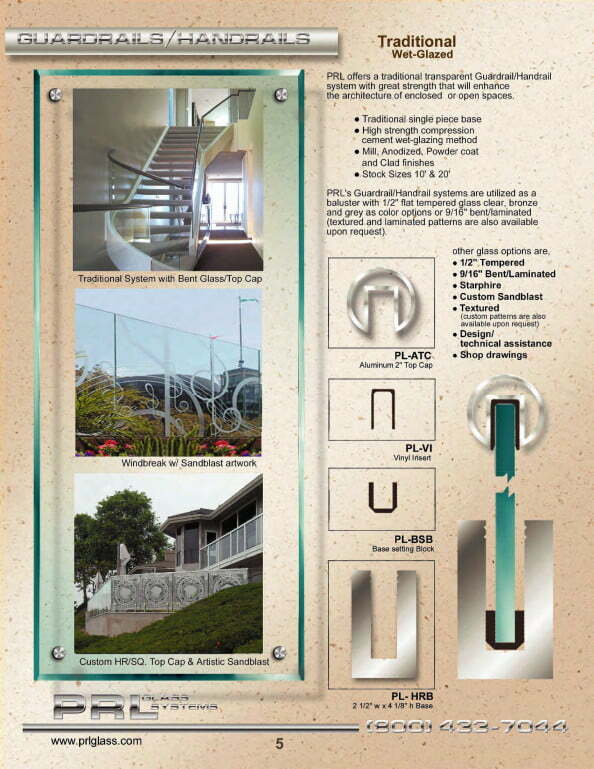 It is designed to be used without the use of special tools. 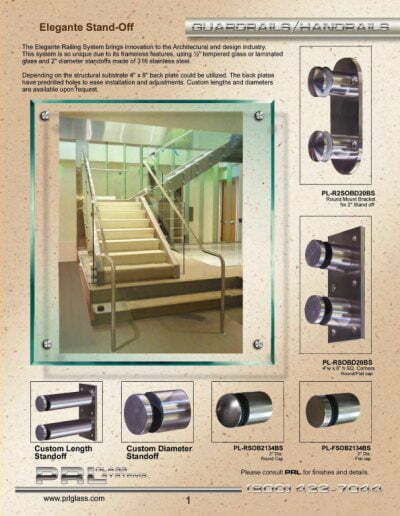 These guardrail and handrail systems use rigid PVC mounting pressure plates and 1/2″ socket head screws to hold the 1/2″ glass into the base. 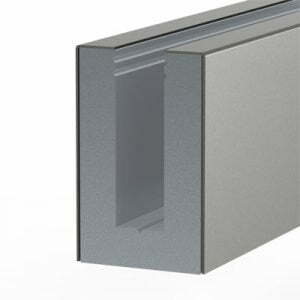 Extruded aluminum drop on covers allows for the finished surface to be applied last along with a roll in vinyl to prevent damage during installation. 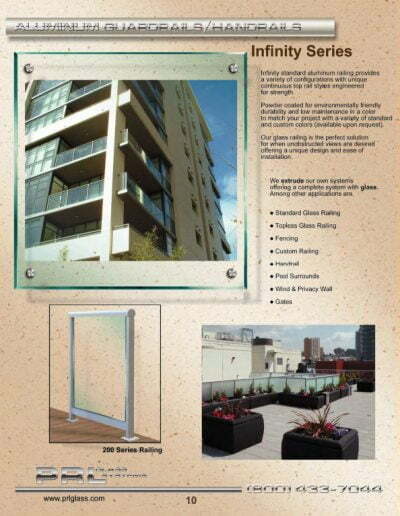 As with our cemented base the covers are available in all standard finishes. 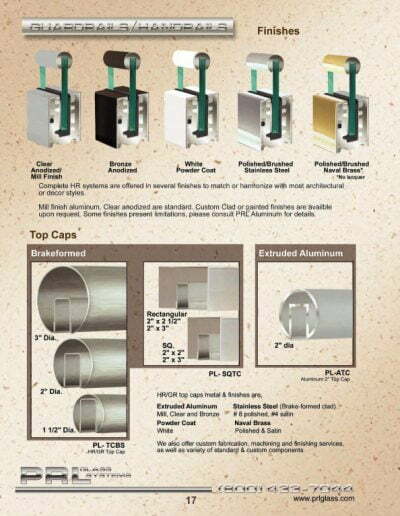 For top cap options we extrude our own 2″ (1.9) round aluminum top cap, stocked in 20′ lengths in clear and dark bronze anodized aluminum. Mill finished lengths are stocked for painted finishes or custom anodized colors. 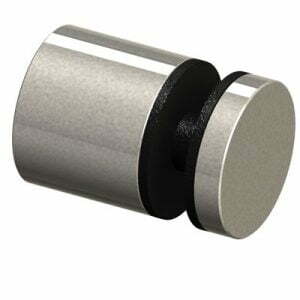 In addition to our aluminum top caps we brake-form 2″ round stainless steel and brass top caps in-house. 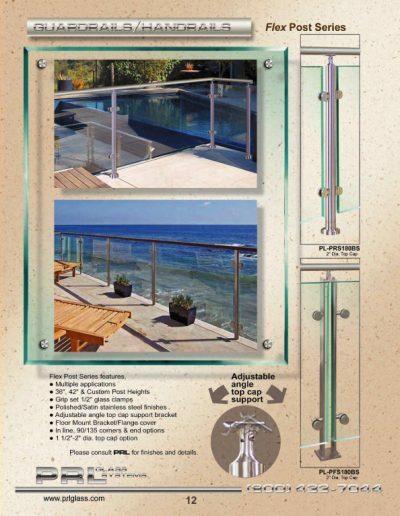 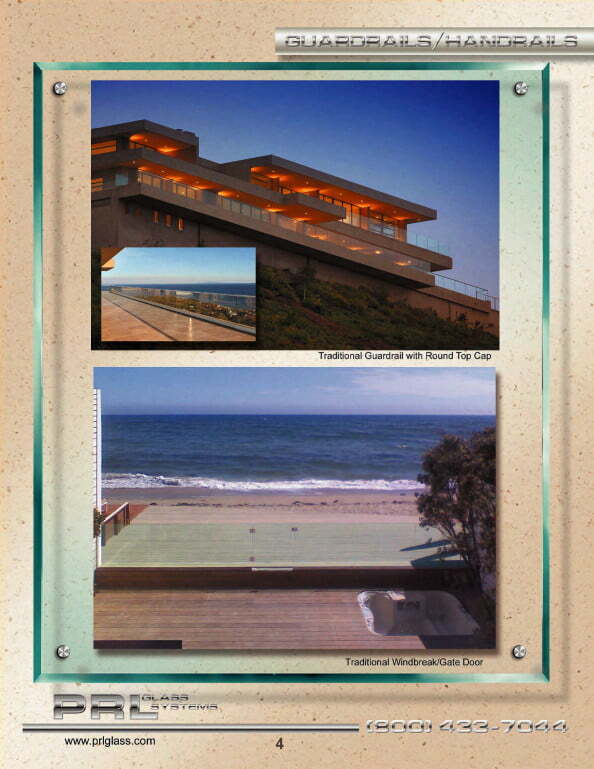 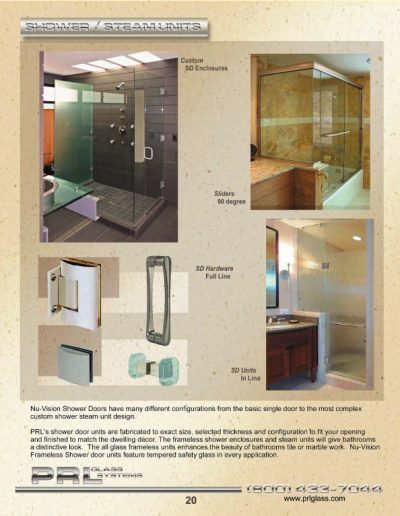 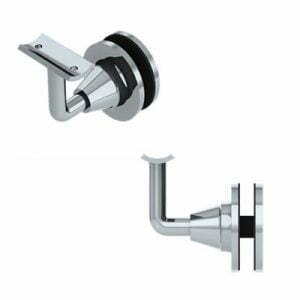 These are typically available in 10′ or 12′ lengths and available in polished or brushed finishes. 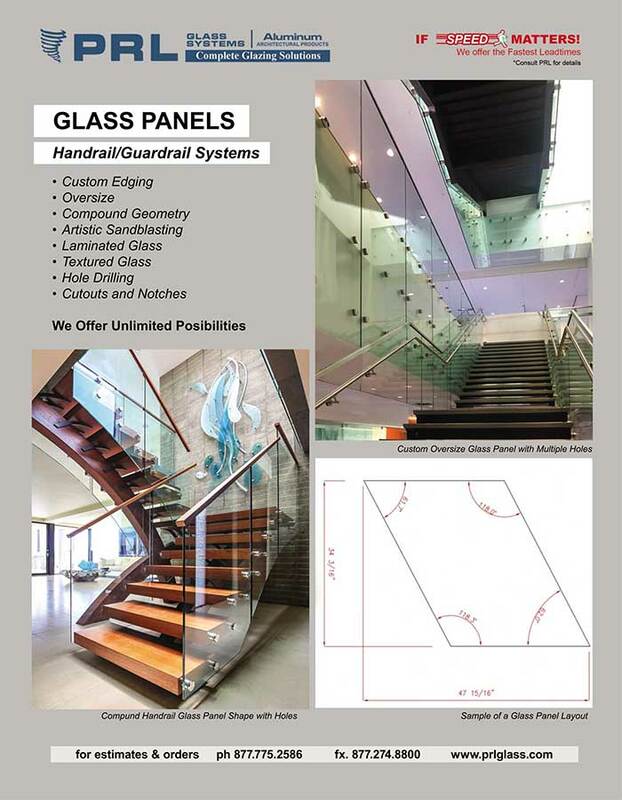 Our AutoCAD department is available to assist with custom top cap design as well. Our mission is to simplify your purchasing of all your Hand Railing Systems, products and hardware all from one source, Simply supply us your guardrail and handrail systems specifications and let us take care of the rest Toll Free 800-433-7044. 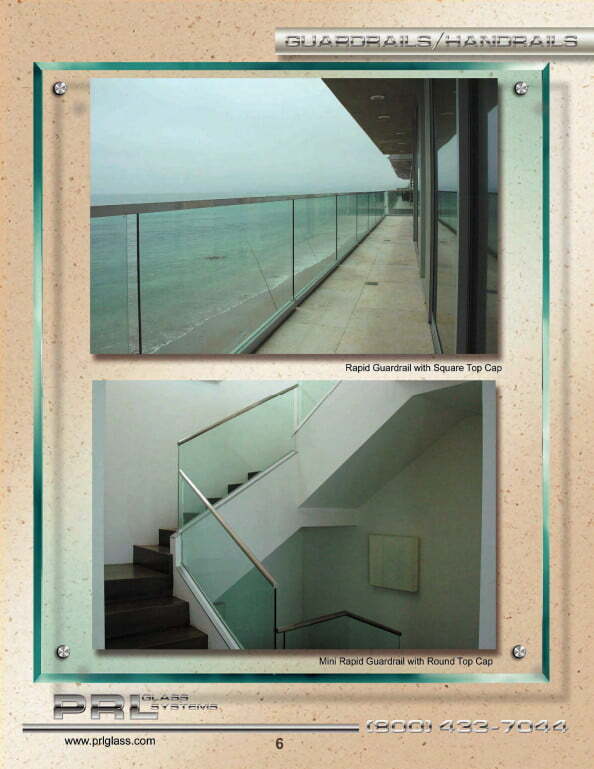 Handrail and Guardrail Glass. 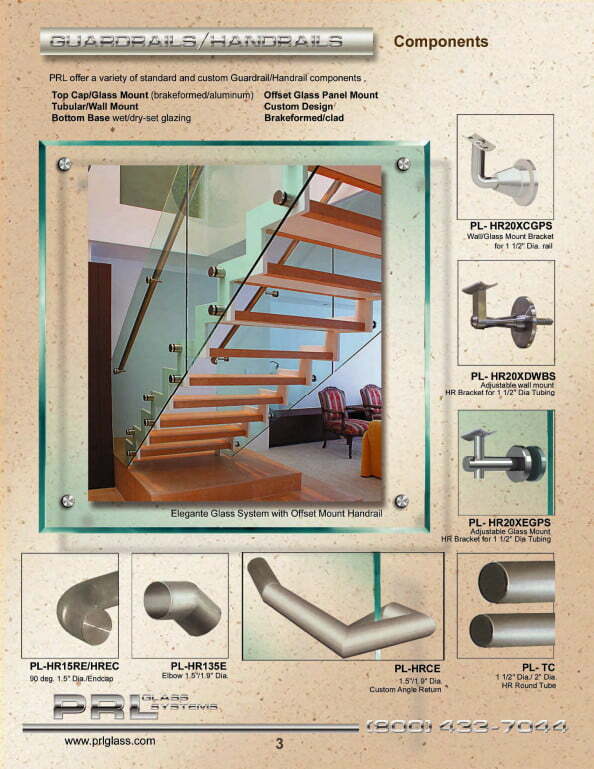 Endless Selection for Railing Systems. 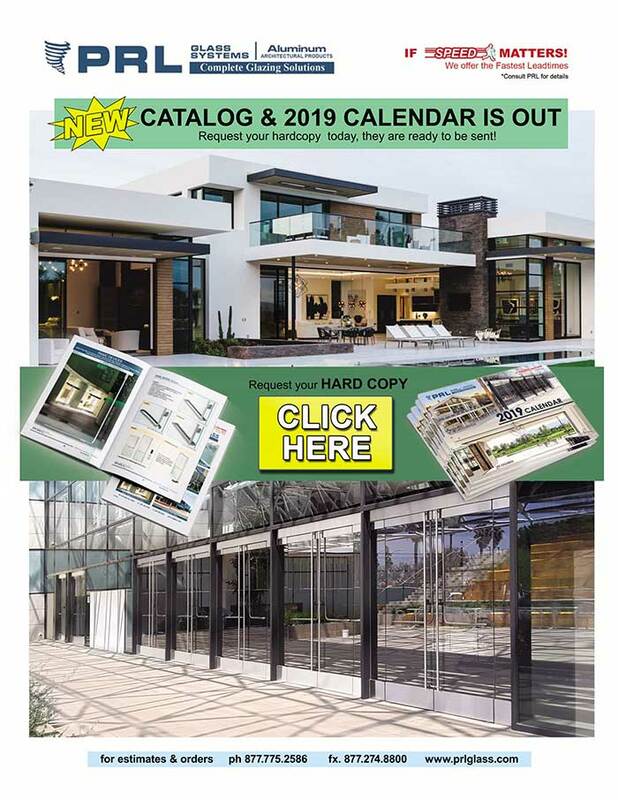 Start the new year out right with a New 2019 PRL Calendar. Featuring terrific monthly photos of our glass and aluminum products, our calendar will keep you organized while learning about all we have to offer.